Our little Cinderella and Buzz LightYear had a great time today on Halloween. We are so lucky to live in a great neighborhood. We walked around for about an hour and it was perfect for our tired munchkins. We went to the AirShow (will post pics later) earlier today, so I was really worried about Trick or Treating. But the kids did great. 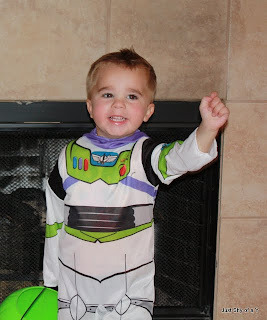 Hayden wore his costume tonight and yesterday for the Carnival too. I was so happy!! We were worried he wouldn't wear it at all. He wouldn't put the hood on, but that was fine with us. Getting ready to head out the door. The first house. Layla is showing Hayden how it is done! Walking back down the sidewalk. Hayden was walking really slow tonight...Layla kept getting onto him. She wanted him to speed up. All he wanted to do was stare at the other kids and their costumes. It was so funny. This porch was a bit scary for Hayden, but he did ok. Big Sissy helped him! They are both realizing their buckets are getting heavier. I loved the smiles on their faces when they got home and saw all their treasures! There is no better feeling than seeing your kids happy. The dentist will he happy too...he will be raking in the cash from all the Halloween cavities! I brushed our kids teeth extra hard tonight...ha!! 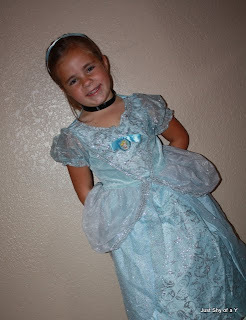 I hope you and your family had a wonderful and safe Halloween! 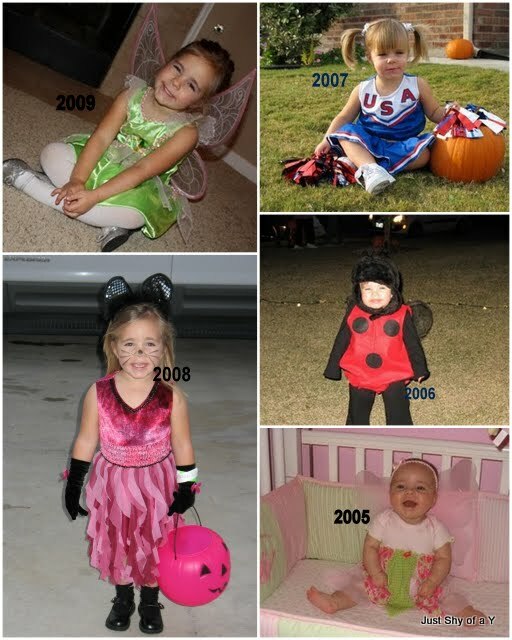 My little Layla bug and all her Halloween costumes. And Hayden and his two turtle costumes. We shall see if he puts his costume on this afternoon for the carnival, or tomorrow for Trick or Treating. This week has been so fun! We have been busy with Fall & Halloween activities every day. I know I have worn you guys out with posts about our activities. 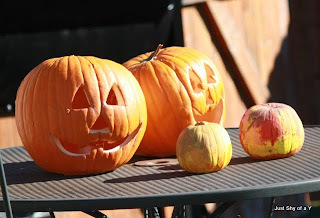 Every single day has been another post about pumpkins! That is one reason I blog though...it is our online scrapbook! I had jello ready one afternoon for Layla when she got out of school. We were going to do jello jigglers in fall shapes, like Kelli did. It was a huge fail, but we still ate the jello! We still had a festive orange after school snack. I don't know what happened...for some reason the jello just wouldn't hold the shapes. I made a pumpkin sheet cake. I will post the recipe soon. It would be a perfect cake for Thanksgiving Day. Maybe even in the shape of a turkey. IT is so delicious. Hayden asked for yellow paint. He insisted on a yellow pumpkin. They both did really good with the paints. At the end though, they started fighting over colors. This coming weekend is going to be so fun! We have so many fun things to look forward to. We have been watching the practice runs all week for the local airshow. Here are a few pictures I took. They fly RIGHT over our homes. It is really loud, especially at nap time. But it's amazing. We get so excited about it and we all love it! We will trick or treat a little on Sunday night, and we are also attending a Carnival on Saturday. IT will be a super fun weekend! I hope you all have a safe and fun weekend too! This week at Kelly's Korner she wants to see our Guest Bedrooms! The only furniture in this room is the futon and dresser. Everything else is kids stuff...toys and more toys in the dresser drawers. The dresser works perfectly for toys and movie storage. Hayden and I spend a ton of time in this room. He calls it the 'pwayroom'. Our playroom is a work in progress. I love this little book shelf. It was Gary's parents. It is perfect for little bodies! And above the art clothes line I want to add a fun quote too. I love these caricatures of the kids...my best friend had a caricature artist at her son's birthday party. What a fun idea...and an even better party favor!! And the vacuum is a huge hit. Hayden follows me around the house while I clean. I can always hear Elmo screaming 'clean up clean up' Yes, the vacuum talks. Ugh! So that is our guest bedroom...can't wait to see yours. I'm sure they are 100 times more glamorous than ours...heeehee!! Happy Friday! Hayden made his 3rd apperance at the pumpkin patch this year...this time with his preschool class. Thankfully Monday morning the temperature was nice and it was breezy. We went early and left before noon. It was a fun few hours! Hayden was so happy to see this green pumpkin. He carried it all around the patch. He shared it with a classmate. She thought it was cool too! We saw Woody and Buzz. And Jessie. Hayden wanted to lay on this pumpkin. And then he had to stop and inspect this icky, gross, mashed pumpkin. He told his sister and daddy all about it. He looked so little to me in his preschool t-shirt. The thing is HUGE and it swollows him up. But they all looked so cute in their matching shirts. Before we headed home we had to stop for a few more pictures. One with Handy Manny...a recently new favorite tv show of HC's. Here is a class picture. A few of his friends are missing. I love seeing these 2 year old interact with one another. IT is so cute. They are all great buddies and treat one another so nicely. Hayden and I are pumpkin patched out...enough of that for one year. Monday after Hayden and I got home from the pumpkin patch (post to come later) and Layla got home from school we carved pumpkins with Dad. The kids loved every minute of it. They both helped get all the seeds out. It was a messy and fun job. Once all the seeds and yucky stuff was cleaned out Gary carved the pumpkins. I asked the kids to pose with the pumpkin...and they look miserable. They really did have fun...I promise!! They loved the candle burning inside, but kept wanting to blow it out. Hayden designed the pumpkin to the right. He just kept saying triangle, so Gary carved out triangle eyes and a nose. My favorite part was lighting them before bedtime in the dark. They look so cool at night! Layla and I acting silly with candy corn stickers on our face. We had a fun time!! The kids really enjoyed carving pumpkins WAY more than I thought they would. It was fun for all four of us! We have so many more fun things to do this week. I love this time of year. Have you carved pumpkins yet?